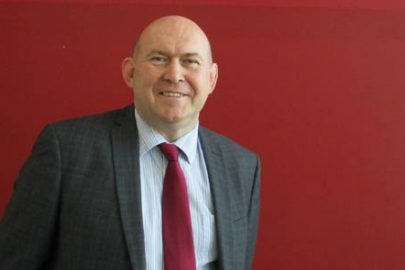 St Margaret’s Church of England Academy (SMA) was chosen by the English Schools’ Football Association (ESFA), to hold the PlayStation Schools’ Cup ‘Tie of the Round’ roadshow event. The PlayStation Schools’ Cup is an exciting grassroots football partnership between PlayStation and ESFA. The tournaments are open to girls and boys throughout England within the U12, U13, U14 and U15 age categories. 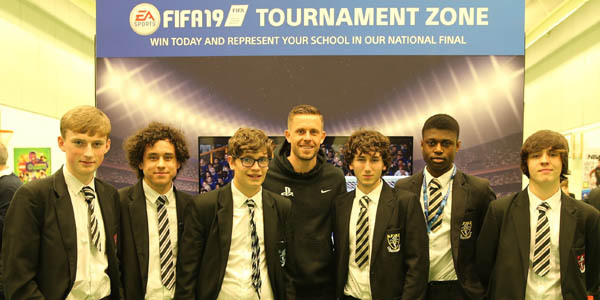 SMA’s sports centre was awash with excitement on the day as it held a number of interactive activities for students to participate in, including PlayStation games and coaching. The highlight for many was the arrival of Everton FC’s Gylfi Sigurdsson, who joined in the games along with a skills session outside. Sigurdsson also took part in a student Q&A, where he talked in detail about his route to becoming a premiership footballer. The Icelandic international also discussed other footballers – he mentioned that Eden Hazard is the most difficult player he has faced, whilst he thinks Messi is the best player in the world. In addition, he provided students with a few words of advice. He told them that a lot of things in life is about hard work and dedication, and that they should apply this to most things they do in and out of school, in order to have success in the future. He then met both teams prior to a Year 7 football fixture between St Margaret’s Academy and St Hilda’s School. Elements of the day were also filmed and will feature on the Sky Sports programme, Game Changers.